Ah, FastPass+. There's something quite wonderful about looking at the standby wait time for some of your favorite attractions and then immediately scanning your MagicBand at the FastPass+ entrance, knowing that you're going to walk by everyone waiting in that other line (sometimes it makes me literally want to skip through the queue!). Thanks to FastPass+, you are able to practically plan your entire Walt Disney World trip down to the minute, as FastPass+ is offered for every major attraction and character meet. However, some of the best character interactions you might have on your visit don't offer FastPass+, and it's important to consider this as you plan your trip. One of the former Innoventions exhibit areas has recently been transformed into San Fransokyo and Headquarters! Baymax from Big Hero 6 and Joy and Sadness from Inside Out are ready to greet you with fist bumps and hugs, and their meeting areas provide a fantastic background for your pictures. While the original Character Spot featuring Mickey, Minnie and Goofy offer the option for FastPass+, this new area does not, and the lines to meet each character are separate. The line to meet Joy and Sadness has been averaging about an hour to 75 minutes every day since the area debuted. My tip is if you're getting to Epcot at rope drop, when you enter the Future World plaza, go to the right while everyone else heads to Test Track. Joy and Sadness start meeting immediately when the park opens and you'll find you will be waiting considerably less than if you were to show up later in the day. After you've met the adorable emotions, head across the way and get in line to meet Baymax. Since the two emotions moved in next door, his line has been considerably shorter all day and has averaged about 10-20 minutes during my last two visits. If you're set on meeting these characters during your visit and don't plan to arrive at Epcot at park open, I recommend setting aside at the very least and hour and a half of your day to experience the new Character Spot. Right across the Future World plaza at Epcot is the world famous (ha!) World Showcase, home to many bars, restaurants, shops and attractions that transplant you right into the countries they represent. The country's pavilions also play home to several characters from some of your favorite Disney films and the scenic backgrounds provide excellent theming for your photos. The U.K. Pavilion hosts Mary Poppins and Alice, Belle can be seen seeking adventure in France, China presents great honor in allowing you to meet Mulan, Jasmine can be found with her prince Aladdin in the back of Morocco, and you can see Snow White by her wishing well in Germany. These characters have sporadic set times of roughly 45 minutes, from the time World Showcase opens up until the late afternoon (set times vary per character). These meets can be very popular, and sometimes the character attendant will close the line before the character even makes their appearance. I recommend getting in line at the very least 15-20 minutes before the character is scheduled to appear. The future of Hollywood Studios involves a lot of new Star Wars entertainment offerings, but currently, Star Wars Launch Bay offers many types of fun for the fans of a galaxy far far away, including a chance to visit two of the franchise's most popular characters: The lovable furball Chewbacca and the menacing First Order villain Kylo Ren. These two characters have proved to be fairly popular in their debuts, and lines can average 30-45 minutes for each meet. With the recent attraction closures at Hollywood Studios, these have the potential to increase. I recommend visiting the Launch Bay to meet these two during the early afternoon while others are taking a break for lunch, or about an hour before the park's nightly presentation of Fantasmic. 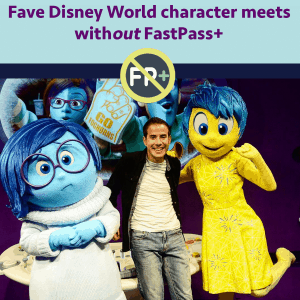 Several other characters throughout the Walt Disney World resort also offer meet and greets that do not have a FastPass+ option, and there's a good chance we'll be seeing more in the future (did someone say Olaf at Hollywood Studios?) If you're a character lover like me, you'll definitely want to set aside some of the time in your visit to experience these! Are you a member yet? 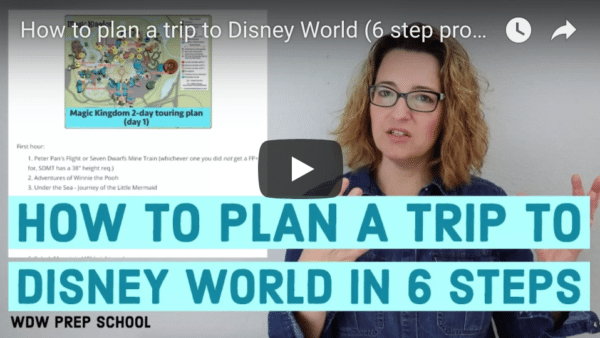 Level 2 WDW Prep Members have character times and locations available as they build their touring plans. My son’s priority character meeting is Kylo Ren and I have it set as the first thing we do at HS park opening. This differs from your recommendation here. Should I change my plan? Thank you! Yeah, that’s not really necessary. I’ve never waited more than 20 minutes to meet him. We were lucky to pass Mary Poppins’ M&G with just a few people on line. I made my 12yr old son (only child) meet her, to take pics for his Aunt who is a BIG fan. Can’t describe how absolutely charming it was to watch them chat it up together, and the pics were awesome. I wouldn’t never planned it but… pure Disney magic. Hi, Queen! Do the Star Wars characters sign? Im mostly wondering about Chewbacca. My 4 year old wants to meet Chewbacca, but wants nothing to do with Kylo Ren. Are there any other Star Wars characters as well? Sorry, Chewy (or Kylo) doesn’t sign autographs. I love this so much. Great info as always and so fun to read! Dustin, you’re my favorite person I follow on Instagram! Thanks for being so fabulous!